In the opening hour, the Car Collection Motorsport Audi turned up in the lead for the first time and then led for most of the evening and the night, other teams mainly taking brief turns in the lead based on different pit stop strategies. As one of the two Black Falcon Mercedes-AMG GT3s (#3, Luca Stolz / Khaled Al Qubaisi / Jeroen Bleekemolen / Ben Keating / Manuel Mezger) retired with a broken right front wheel suspension and the sister car (#2, Abdulaziz Al Fasal / Hubert Haupt / Yelmer Buurman / Saud Al Faisal / Adam Christodolou) lost time due to brake issues, the Audi again took the lead on lap 378 in the 16th hour of the race and kept its position throughout the final eight hours. On lap 426, just after 8 am on Saturday, Frédéric Vervisch posted the fastest lap time of the race in 1m58.695s. For Audi, the success marks the second win at Dubai after the victory by WRT in 2016. Under the MS7 by WRT banner, the Belgian outfit now completed Audi’s success by claiming second place with the #7 entry (Mohammed Saud Fahad Al Saud / Michael Vergers / Christopher Mies / Dries Vanthoor). The Bohemia Energy racing by Scuderia Praha Ferrari (#11, Jiri Pisarik / Josef Kral / Matteo Malucelli) finished third. The pole-winning GRT Grasser Racing Team Lamborghini (#63, Mirko Bortolotti / Christian Engelhart / Rolf Ineichen / Mark Ineichen) recovered strongly after suspension damage due to a collision in the first hour and still finished fourth while the Attempto (#99, Stanislav Minsky / Klaus Bachler / Nicholas Foster / Marvin Dienst / Steijn Schothorst) and BWT Mücke Motorsport (#9, Markus Winkelhock / Mike David Ortmann / Andreas Weishaupt / Stefan Mücke / Ricardo Feller) made it four Audis in the top six of the GT division and the A6-Pro class. The battle for A6-Am class honours was a close one, with the HTP Motorsport Mercedes (#25, Alexander Hrachowina / Martin Konrad / Bernd Schneider / Indy Dontje / Brice Bosi) just coming out on top, one lap ahead of the Herberth Motorsport Porsche (#91, Daniel Alleman / Ralf Bohn / Robert Renauer / Alfred Renauer). Two laps further down, the Car Collection Motorsport Audi (#34, Dr. Johannes Kirchhoff / Gustav Edelhoff / Elmar Grimm / Ingo Vogler) claimed third place in class. The Leipert Motorsport team won the SPX class with its Lamborghini Huracán Super Trofeo (#710, Harald Schlotter / Jake Rattenbury / Marcus Påverud / Khaled Al Mudhaf / Frederik Schandorff). With MRS GT-Racing (#990, Werner Neugebauer / Daniel Schneider / Ricardo Mauricio / Dennis Dirani) and Speed Lover (#778, Dominique Bastien / Gilles Petit / Nigel Farmer / Jean-Michel Gerome), two Porsche teams rounded out the top three in class. UAE-based team Duel Racing (#950, Ramzi Moutran / Nabil Moutran / Sami Moutran / Charlie Eastwood) scored a popular 991 Cup class win to add to its touring car class wins from previous years. MRS GT-Racing (#980, Helmut Roedig / Christopher Zoechling / Yutaka Matsushima / Gosia Rdest / Wolfgang Triller) and Porsche Lorient Racing (#911, Pascal Gibon / Lionel Amrouche / Frédéric Ancel) came second and third. There was more success for MRS GT-Racing as the German team won the GT4 class with its BMW M4 GT4 (#426, Franjo Kovac / Tomas Pekar / Fredrik Lestrup / Thomas Tekaat). In a nail-biting finish, the Sorg Rennsport BMW M4 GT4 (#451, Olaf Meyer / Björn Simon / Fidel Leib / Stephan Epp / Simon Tibbett) inherited second place in class after the QSR Racingschool Mercedes-AMG GT4 (#454, Jimmy de Breucker / Rodrigue de Gillion / Michiel Verhaeren / Nico Verdonck) came to a halt with only seven minutes remaining. The Belgian outfit still came third in class. With only two Volkswagen Golf GTI TCRs entered for this year’s race in Dubai, Volkswagen may not have had the biggest presence in the TCE field compared to the various Audis and Cupras, but that didn’t prevent the German manufacturer from repeating its TCE division win in Dubai from last year. Newly-created Swiss team Autorama Motorsport by Wolf-Power Racing drove its Golf GTI TCR (#112, Marlon Menden / Fabian Danz / Yannick Mettler / Stefan Tanner / Jerôme Ogay) to a convincing TCE division and TCR class win, four laps ahead of the Bas Koeten Racing Cupra TCR (#125, Ronny Jost / Julien Apotheloz / Loek Hartog / Oscar Graeper). The Red Camel-Jordans.nl Cupra TCR (#101, Ivo Breukers / Henry Littig / Cody Hill / Klaus Kresnik) rounded out the top three. TCR class pole winners AC Motorsport led for most of the race with the Audi RS 3 LMS (#188, Stépane Perrin / Vincent Radermecker / Tom Boonen / Gilles Magnus), but damage after a collision and a subsequent fire cost valuable time and the team came fifth as a result. Both teams in the SP3 class had a wide range of troubles, but the Vortex V8 Vortex Scirocco (#301, Philippe Bonnel / Thomas Cordelier / Franck Lefèvre / Nicolas Nobs) took the win in the two-car class from the CWS Engineering Ginetta G55 (#378, Colin White / Steven Wells / Oliver Baron / Angus Fender). A3 class honours went to the G & R Motorsport BMW E46 M3 (#603, Danny van Dosselaer / Karlo van Dosselaer / Geert Houdhoofdt / Geert Diericx / Jasper Diercx) from the two Lotus PB Racing Lotus Elises (#634, Stefano D’Aste / Matteo Deflorian / Nicolò Liana / Michael Cordini, and #633, Vito Utzieri / Marco Fumagalli / Mauro Guastamacchia / Maurizio Fortina / Mark Speakerwas). The fun-M Motorsport team saw its BMW M235i Racing Cup (#802, Simon Klemund / Paul Sieljes / Christopher Rink / Ioannis Smyrlis / Harald Rettich) win the CUP1 class, three laps ahead of its only class rival, the DUWO Racing entry (#840, Frédéric Schmit / Nicolas Schmit / Jean-Marie Dumont / Thierry Chkondall / Youssef Bassil) that had led for a long time, but lost time due to a gearbox issue. In total, the race had 19 code 60 neutralisations with 38 laps completed under code 60 by the leader. Action in the 24H GT SERIES and 24H TCE SERIES, both powered by Hankook, continues with the Hankook 12H MUGELLO (29-30 March), the start of the European Championship season. 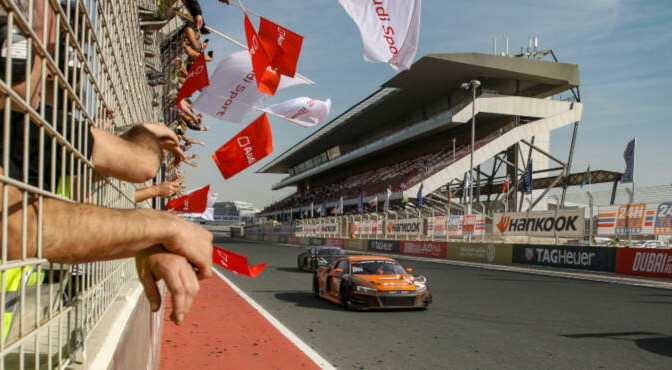 However, CREVENTIC will be organising its next event in the Middle East in a fortnight already with the opening round of the 24H SERIES Middle East Championship, the Hankook 6H DUBAI, and the season opener of the TCE MIDDLE EAST Series, both at Dubai Autodrome on 25-26 January. 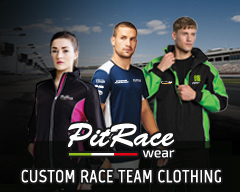 Further information can be found at www.24hseries.com.